AFL Queensland today announced the 2019 Bond University Queensland Australian Football League Women’s (QAFLW) fixture. The inaugural Pride Round headlines a slate of exciting marquee games to be held this year, with all eight QAFLW teams to meet at Moreton Bay Central Sports Complex to play fixtures consecutively on Saturday, 27 July 2019. On the back of the State’s first pride match last year at Robina, Pride Round will be a first for senior football in Queensland and aims to celebrate diversity and promote LGBTQI inclusion within the football community. To be played in Round 13, the event at Moreton Bay Central Sports Complex forms one component of a greater Pride Round across Queensland’s South East, which will include teams from the QFAW competitions. AFL Queensland’s State Football Operations Manager, Barry Gibson, said the addition of the Pride Round to the fixture is a massive step forward for football in Queensland. “The event is a celebration of inclusion in both football and the wider community,” Gibson said. Eslsewhere in the fixture, Aspley will play their first game at QAFLW level at Giffin Park against last year’s runner up Coorparoo. The Hornett’s first home game will be in Round 2 when they host Yeronga at Southpine Sports Complex. Wilston Grange will unfurl their premiership flag in Round 2 against Maroochydore after finding themselves on the road to University of Queensland in the opening weekend. Coorparoo will have their shot at premiership retribution in Round 7, when they face Wilston Grange at Hickey Park in the Grand Final rematch. Among the other fixture highlights is the return of the Friday night showdown between Yeronga and Coorparoo at Leyshon Park. For the second consecutive year, the Devils and Kings will face off under the Friday night lights with this year’s game taking place in Round 10. Bond University and Yeronga will play the first official game of the season when the ball is bounced at 3:45pm on 6 April on the Gold Coast. The remaining three Round 1 matches will commence one hour later at 4:45pm. 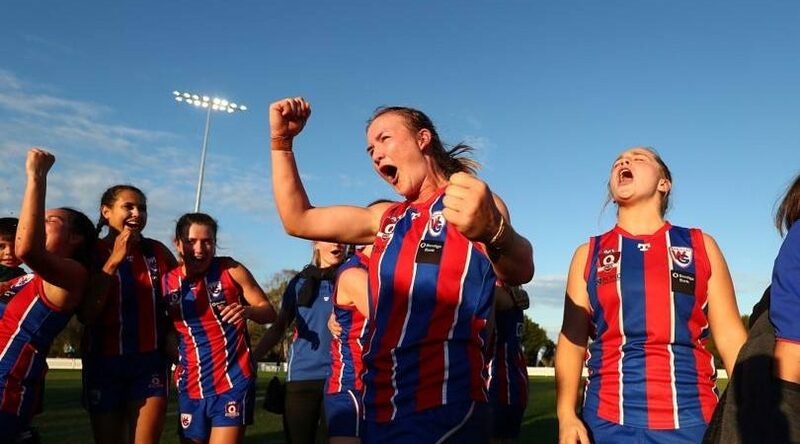 The fixture retains the QAFLW’s traditional 4:45pm timeslot across the majority of games, however the introduction of the QAFLW Development League in 2019 has provided the flexibility to include a variety of timeslots. All teams will enjoy four bye rounds throughout the fixture, including the Easter long weekend on April 20. The 14-game season will see each team play one another twice, culminating in a three-week final’s series commencing on August 9, with the Grand Final set for Sunday, 25 August 2019. Check out the full 2019 Bond University QAFLW Fixture below.